The main man in charge of Sweden’s Sneakersnstuff just gave the Internets a first look at the SNS x Asics x Onitsuka Tiger ‘Tailor Pack’. This latest collaboration pack will take place on the Asics Gel-Lyte V, an Asics favorite, and the Onitsuka Tiger Shaw Runner. The Tailor Pack, as the photo suggests, will get traditional, old school clothing materials for uppers. 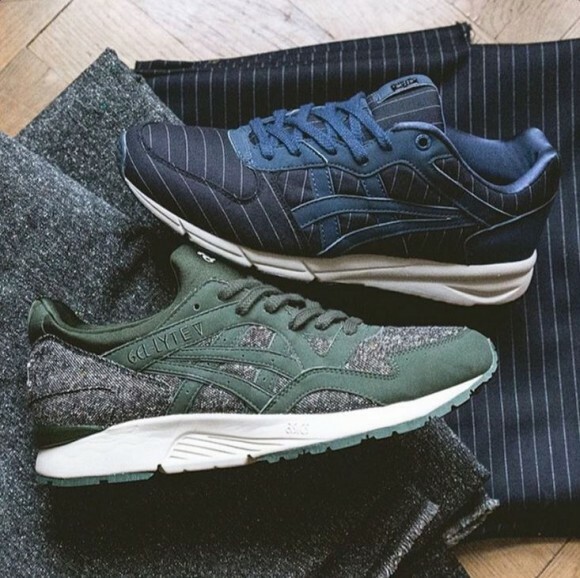 The Shaw Runner rocks a pinstripe upper that looks incredibly sophisticated while the Gel-Lyte V flaunts a tweed upper. This pack is great because the theme is not only about look but about how these materials feel. The SNS x Asics x Onitsuka Tiger ‘Tailor Pack’ debuts January 31, 2015 at all Sneakersnstuff locations. Thoughts on this pack? Share them below. To get the breaking news first, stay tuned to WearTesters.com.